Shoes are more than just a pair of accessories designed to protect your feet. They can be part of a fashion statement, an important part of a person’s wardrobe or even a bit of both. No doubt they are many kinds of shoes made from different types of materials. But we are not talking about a pair of shoes where you can easily find in a store. Instead, here is a selected list of 8 Most Expensive Shoes In The World that would redefine the meaning of “overpriced”. Would you buy a pair of heels that cost USD3 million or RM12 million? That’s the price of Stuart Weitzman’s “Rita Hayworth” heels, which were designed for the legendary late American actress. The open-toed, rust-coloured heels were also previously worn by Oscar-nominated singer Kathleen “Bird” York during the 78th Academy Awards in 2006. And just so you know, the heels are not for sale since they were owned by Hayworth’s daughter, Princess Yasmin Aga Khan. This pair of custom-made shoes, which is made out of 14,000 full-cut round white diamonds weighing at 340 carats, was arguably the Guinness World Record holder for the “world’s most expensive men’s shoes”. Created by renowned jewellery designer Jason Arasheben, the shoes were specifically made for Nick Cannon, which were to be worn during the red carpet ceremony of America’s Got Talent Season 9 finale. It reportedly took Jason over a year and a total of 2,000 hours to work on the diamond-encrusted shoes by hand. Ray actress Regina King famously wore the aforementioned shoes during the 77th Academy Awards ceremony in 2005. The satin shoes were embedded with a pair of Swarovski crystal earrings used to be worn by the late Marilyn Monroe. They were later sold to the auction for USD1 million or RM4.1 million with the exception of Marilyn Monroe’s earrings being replaced with replicas instead. It’s no secret that diamonds are a girl’s best friend and you don’t just wear it on your finger or around the neck. How about literally walk the diamonds in the form of Stuart Weitzman’s Diamond Dream stilettos? Get this: the aforementioned stilettos are actually made of 1,420 30-carat Kwiat diamonds! They cost a whopping USD500,000 or RM2 million and they were specially made for Dreamgirls actress Anika Noni Rose during the 79th Academy Awards ceremony in 2007. 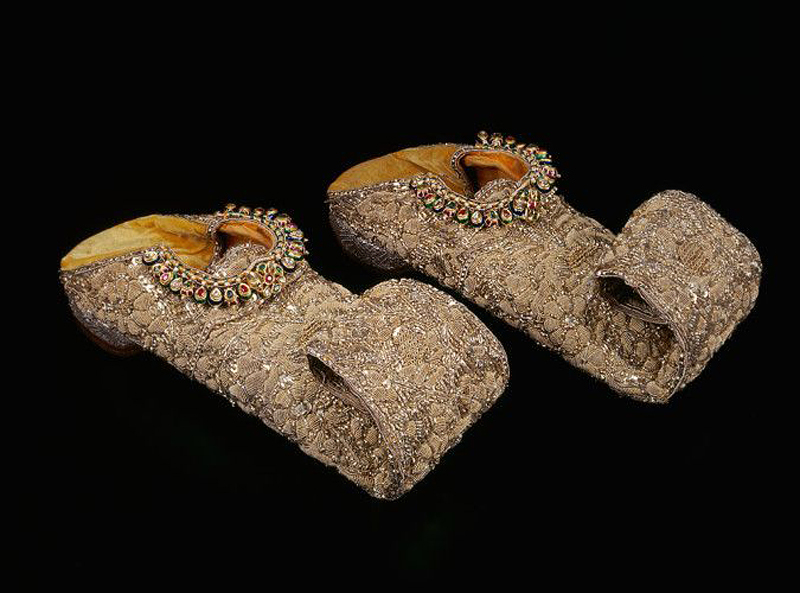 These Aladdin-like shoes were entirely made out of gold embroidery and adorned with precious gemstones like diamonds, emeralds and rubies. They once belonged to Nizam Sikandar Jah, the ruler of Hyderabad in the 18th century. 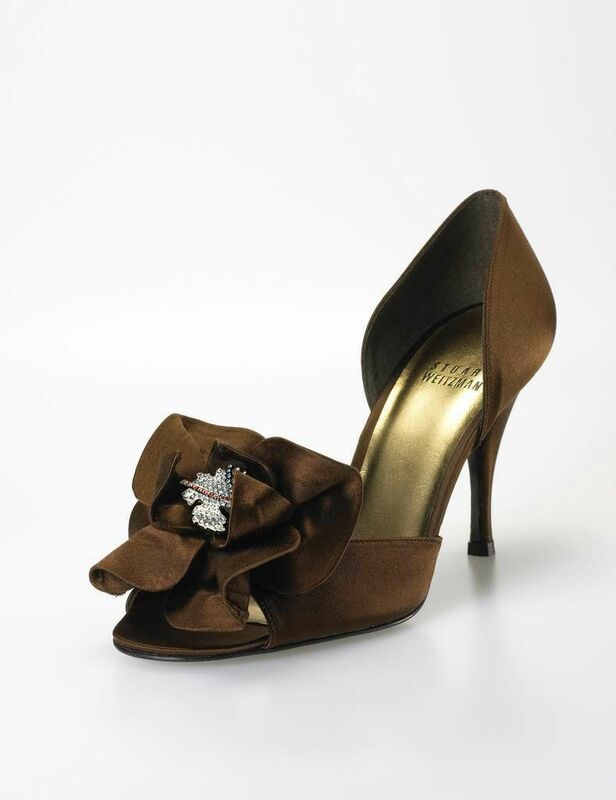 The shoes, which valued at USD160,000, have since become the property of the Toronto-based Bata Shoe Museum. Here’s an interesting trivia regarding the shoes: On January 2006, the shoes were stolen from the museum but managed to be recovered a few months later. Apparently, the shoes were found at a nearby church. It would be cool to own a sleek black-and-red pair of Air Jordan 12 “Flu Game”, which happens to be the world’s most expensive Air Jordan basketball sneakers. Here’s an interesting story on why the shoes were nicknamed as “Flu Game”: During the 1997 NBA Finals between the Chicago Bulls and Utah Jazz, Michael Jordan was down with flu-like symptoms and unable to perform well as usual. But ironically, he managed to lead the team to the title. The definition of “shoes maketh the man” rings true with this stylish pair of leather shoes from A. Testoni. But here’s the catch: it costs you an average of few years’ worth of your annual salary, stretching at USD38,000 or RM150,000+ a pair! The price is actually justifiable since the shoes are made from the world’s finest alligator skin using the hand-stitched Norvegese technique. Another reason for the high price tag? Extreme durability and water resistant. Remember the iconic scene where Michael J. Fox’s Marty McFly wore a cool pair of Nike self-lacing sneakers in Back to the Future Part II? Back then, those sneakers were only customised for cinematic props. 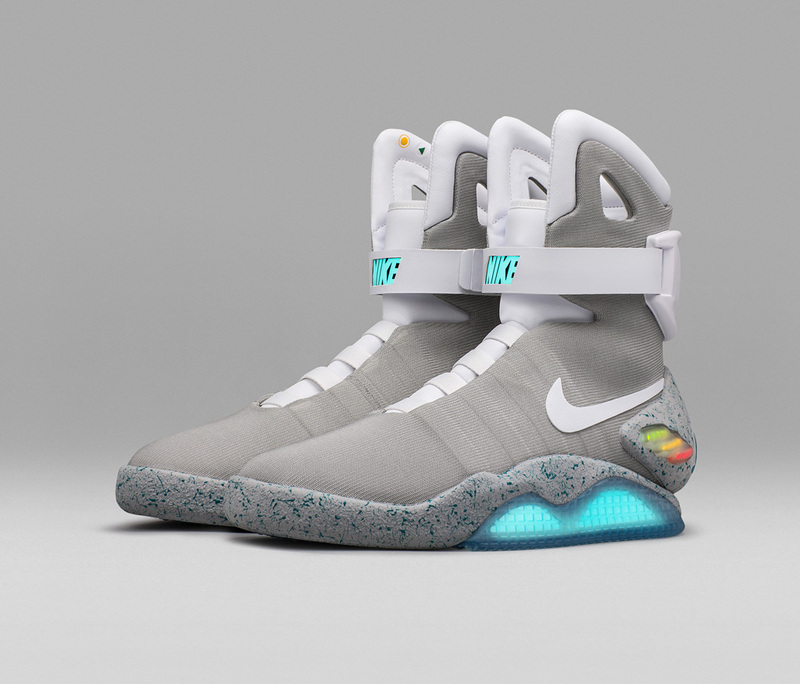 But Nike has actually turned the “fictional” self-lacing sneakers into reality with their release of Nike Mag in 2016. As expected, the sneakers are only limited to 100 pairs and the average market price to own a pair can cost you up to USD26,000 or RM100,000+, which is equivalent to a double-storey house downpayment.